Gaming is a family to all anime fans. I'm pretty sure that almost if not then all anime fans loves to play video games as well. As an anime enthusiast, I do want to be part of a gaming community someday. I mean, not the ones who play but the group behind the game itself. It would be a dream come true to me yet I know that it is not easy to make a single video game. My brother always tell me that if you work on a small-time gaming company then you would 100% be underpaid but once you have completed a game, the salary doesn't matter anymore. It is about the effort and hardwork a game creation team puts into their masterpiece in the end. Last season Summer 2016, anime NEW GAME! showed us what are things behind the curtains of how a MMORPG is made. 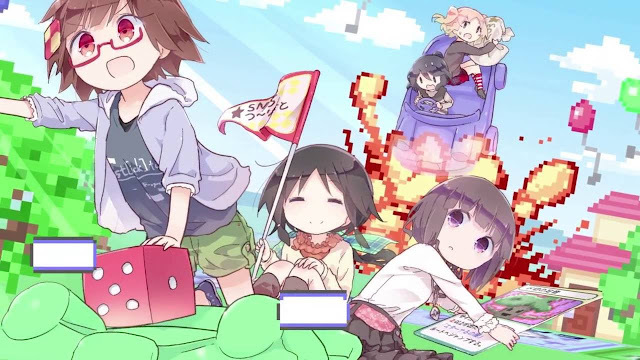 A simple yet very informative anime about video game creation, same goes with Magic of Stella. I'm not saying that both anime are the same because they are simply not. These kind of anime gives me enjoyment and experience but at the same time both things that I would never ever have. I mean, I'm a professional teacher and my dream to make a video game is almost zero though. Watching these anime are enough for me.